"Electronic Medical Records vs. Electronic Health Records" - What is the Difference? 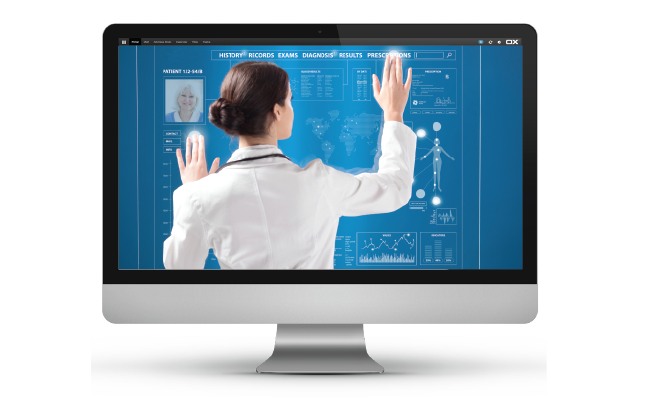 EMRs and EHRs share a lot of functionality and capabilities; many people believe they're synonymous. Both contain some version of a paperless chart that collects, tracks, and manages patient information such as demographics, diagnoses and treatment histories, and health benchmarks, and both include features to increase efficiencies and improve quality of care. But there are major differences, too. Perhaps the most significant difference between an EMR and an EHR is that an EMR is designed to replace a paper chart within a specific practice or health care system; the information in an electronic medical record is meant to be used by staff within that practice alone. An electronic health record on the other hand, is designed to be compiled, accessed, and shared by anyone who provides care or treatment for a particular patient or group of individuals. It moves beyond traditional boundaries of practice, health care network, and even geography to provide a complete, longitudinal record of the patient's health to enable more complete coordination of care. An EMR records immunization data, but an EHR enables electronic sharing of that information with government, school, or workplace clinicians. A primary care practice can enter the report from a patient's diagnostic imaging study in an EMR, but the radiologist can upload digital images and notes into the patient's EHR. A patient can request that information from the EMR be transmitted to a consulting physician, but multiple authorized providers can view and add information to an EHR, enabling interactive communication and care coordination. In addition, patients have an element of control over information in their EHR that isn't required in an EMR; Meaningful Use explicitly lays out guidelines that allow patients to access, share, and even add to certain portions of the EHR. In fact, secure patient-to-provider and provider-to-provider communication is a hallmark feature of electronic health records. Which Is Better, an EMR or EHR? Clinical notes and hospital documentation move with the patient from one care setting to another to ensure continuity of care. Diagnosis and treatment histories, as well as allergy information, are available to emergency medical personnel to inform treatment decisions when the patient is unable to speak for himself. Health reporting and surveillance across multiple care organizations improve public health and population health outcomes. In a nutshell, then, EHRs are designed to break down barriers between all the stakeholders involved in a patient's care, while EMRs are designed around the workflows and efficiencies of a particular practice or provider. And that's why certification standards and CMS Meaningful Use requirements apply specifically to products designated as electronic health records—these systems are meant to have broader applications than a practice-specific EMR. Real-time patient, provider, and payer authorization. Permission-based information sharing across multiple care organizations. Secure patient access to portions of the health record.